Hello friends! Any loyal followers may notice the change in my blog recently. While I loved the old design, I wanted to move with the times and work with a different platform. I toyed with the idea of switching to wordpress, but instead found Design with Christi who could do everything I wanted, and very quickly! I love it - Thank you Christi, it is everything I wanted! Purposeful Teaching with Practical Resources rings true to my way of teaching. With the already crowded curriculum and the constant feeling of not being able to achieve everything I need to, I don't want to do activities that are purposeful. Time fillers, worksheets for the sake of worksheet (you know the ones, 5 minutes and they are done!) and activities without a direct purpose are not on my radar. What will the children learn? Why am I doing this activity? These are questions I ask myself with every lesson and this style of teaching is what I am promoting. The resources I will direct you to and the resources that I create will have this in mind "Purposeful Teaching". As an Primary School Teacher, I am teaching all subjects all the time. And while Maths and Science have always been my favourites, I have grown to feel more comfortable across the board and no longer feel I have a favourite! 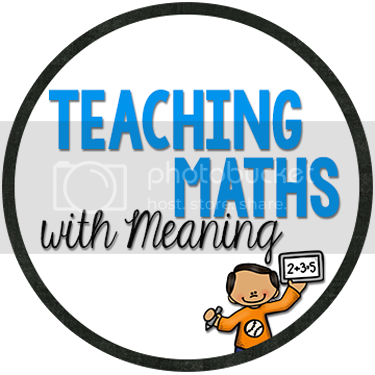 Previously I have posted things about Literacy and Humanities activities, but from now on, I will stick to Maths - Teaching MATHS is after all the title of my blog! In the coming blog posts I hope to strike a chord with you all, reach out to those of you in need of guidance, give a new idea to those who need it and for others, just another perspective on how to look at teaching something. I was so excited to see a new post from your blog in my email today! I love, love, love the new design and look forward to your future posts!